Anyone fumigate for bbs? What were the results? Three months ago, my husband worked for a landlord doing maintenance/carpentry work in his properties. He was doing some work in a room that had a serious infestation of bed bugs, but he didn't know until after he began the work. The landlord and other employees swore it was "no big deal" and that they had been working in the room for weeks with no problem, but my husband was paranoid to the max. We took all the precautions we could think of (at the time), but somehow those little f****** revealed themselves in our apartment about three weeks later. My husband quit his job, so angry that his boss had exposed him to these conditions and wasn't dealing with them appropriately. We told our landlord we found bed bugs and wanted to call a professional since it was obviously very early on and could probably be contained easily. He insisted he knew what to do. He made us set off multiple foggers in our apartment and spray poisonous aerosols, spread DE, etc. We put traps around the base of our bed legs, threw away SO much stuff, dried all our clothes on high and ziplocked them, and so on. We thought we were doing the right thing. Then we started finding bugs EVERYWHERE. When people say foggers are the worst thing you can do, BELIEVE THEM. They were in our spice rack in the kitchen (farthest place from the bedroom), in our hot pads, in our bathroom medicine cabinet, in my hanging shoe rack, in our pantry, etc., etc. It was horrifying. The fogger caused them to spread to nooks and crannies they never would have ventured otherwise. We realized we had to move if we ever wanted to have control over the situation since our landlord would not agree to call a professional pest control company. We decided to move into a very tiny house that became available for us to rent - excellent timing. We called an area PCO that could do heat treatment and brought a moving truck full of almost all our belongings - anything that couldn't be heat treated was in sealed bins with Nuvan Pro Strips for three weeks. The PCO had a dog identify specific bins and items from the truck that had BBs, and they only treated those items. The rest of the items were "cleared" and we trustingly brought them to our new house. My husband started getting bites again within a few weeks at the new house ... we had somehow brought them along. After about $1000 total spent on the move and the heat treatment and the dog inspection (with NO guarantee!) we were not about to call the same place again. We wanted this done, once and for all. 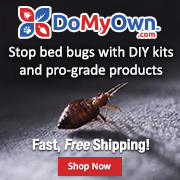 My husband discovered the consulting company Bed Bugs and Beyond on the internet which claimed that they would find out your situation and match you with a company in your area (on their provider list) that could get rid of your bed bugs. The best part? They GUARANTEED that it would work. We were obviously wary after sort of getting screwed by the first PCO. BB and Beyond was really understanding and took the time to give us our options. They really understood the trauma we had been through. 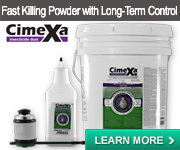 We opted to do a whole house fumigation with a company they would contract with. Let me say - it was NOT CHEAP. 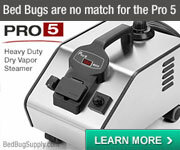 We ended up spending several thousand dollars for an 24hour+ fumigation (including our car) with several certified fumigators on site the whole time - they used Vikane, which has a ridiculously high success rate as most of you on here probably know. However, BB and Beyond gives you a 1 YEAR GUARANTEE that you will be bed bug free, provided that you follow their Best Practices for staying bed bug free post-treatment. 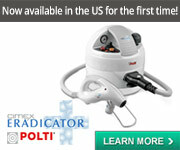 They also provide free treatment of any items you suspect may be infested post-travel, etc. for as long as you stay living in your same residence. Michael, the founder of the company, is available at all times to take calls and texts if you have questions, concerns, etc. He's stayed in touch with us since the treatment to make sure things are going ok and to see if we have any questions or concerns. It was a big decision to go with BB and Beyond because of the very high cost, but they really do take on the risk in the situation and provide peace of mind with their guarantee and confidence. We are a few weeks post-treatment and have had our expected paranoia (general itchiness, scrutinizing every piece of fuzz on the bed, etc. ), but we feel fairly sure the bugs are gone. 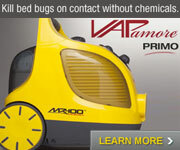 Time will heal, as anyone who has gotten over bed bugs probably knows. And if the bugs are SOMEHOW not gone (which we feel is very unlikely at this point), we know we can call BB and Beyond and they will take care of whatever needs to be done to get rid of the bugs (for no additional cost). Like I said, it is too soon to sing the praises of BB and Beyond 100% for sure, but we have been nothing but pleased with the help they've given us and the information they've provided and how attentive they've been. Finally, we feel like we have control of the situation and not the other way around. I would really recommend contacting BB and Beyond (they give a free quote) to at least see if it might be a possibility (logistically and financially) for you. I think they might also provide moving services if you need help coordinating a move out of an infested place. Will follow up in a few weeks - hopefully with a good, happy, confident report. Im so sorry for the terrible ordeal youve been through.. I think most, of not all of us can relate to the trauma, emotional impact, and devastating financial costs of this battle. I know I sure can.. I am so glad things seem to be looking up for you, and hope they will continue to do so.. I look forward to your upcoming success story! How reassuring it must be to have the support of the pco staying in touch for reassurance and answers when you need them. It's been just about three months since I posted the success story above, and I wanted to come back here to confirm that we are still in the clear. While the "mystery bumps" did occasionally show up (mosquito-type bumps that would appear randomly, itch for 10-15 minutes, and then fade away) for a month or two after the treatment, they became less and less frequent over time. We've suspected these bumps were just some kind of general skin irritation that we were hyper-vigilant and sensitive to due to our overall anxiety about the whole situation. It's still hard to believe that we've actually gotten rid of them, that we have returned to a "normal" life that is no longer dominated by paranoia, anxiety, anger, frustration, and hopelessness. It feels too good to be true sometimes. We've finally revealed our whole story to several of our friends. It helps to talk about it and share what a terrible ordeal it was, as well as to use our story as a warning to others. Still, I wonder by some people's responses whether they really understand the serious psychological toll it takes. 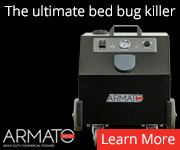 I don't think I could have understood it before we got bed bugs. The experience has totally changed us. I can echo the comments of a lot of success stories on here. We threw out so many of our possessions, junk we had accumulated through the years that we were holding on to for no reason. Out of everything we got rid of, there are only a few items I still think about and wish I hadn't had to throw out. We live a much, much more uncluttered life now. 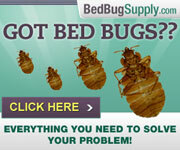 Bed bugs are a problem arising out of stuff. 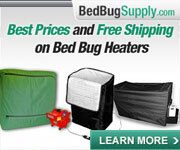 The more stuff, clutter, junk - the worse the bed bug problem will be. Ultimately, the experience brought my husband and I closer together. We had to rely on each other during the hopelessness or else we would have gone crazy. I can't imagine facing it alone. If we could go back to last summer and avoid the whole experience, I would be more than happy to do so. But since that's not possible, we have tried to find the best in the situation and use it to keep moving forward. From my experience most folks can ill afford the higher end treatments but it sounds as if it's working for you thus far. Based upon your story it sounds as if your husband's employer and/or your former LL may have subject you to the hazard of bed bugs and they share in some portion of the responsibility in doing so. Doyou think this is so? Dear We will win.Its been 6 years later.Were you bed bug free the whole time?Did it work?